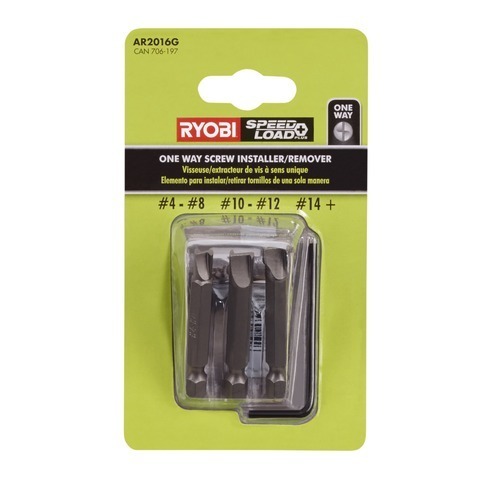 The RYOBI 3-Piece One-Way Screw Remover/Installer Set is ideal for driving and removing one-way screws. The set includes 3 tools of different sizes to accommodate screws ranging in size from #4 to #14 and larger. This is a great tool for installing tamper-proof fasteners.